Hear what other brides had to say about L3’s event services! Over a year ago, I first reached out to L3 having gotten referred through an acquaintance. I had no clue what to expect as it was one of my first moves toward the beginning of my long wedding planning process. L3 was quick to give me a rundown of what exactly her role would be as a wedding planner & she made me feel quite comfortable rather fast. Because she has experience in destination weddings, I felt even more at ease since my wedding goal was to have it at a destination. The weeks turned to months and before you know it we were having weekly calls going over all of the details and making sure things were always on schedule and in place before the wedding in Jamaica. She was always available and even though she was professional she still made herself easily accessible no matter what time of the day. I could easily text her at midnight and was sure to get a response within minutes. From opinions, small inputs & making sure we didn’t forget any of the details on the vendor side, L3 was great and made sure things were in order. She also got along well with both of our parents and didn’t overstep any boundaries with their wants or wishes. Because of her age also, she had great taste when I needed her input and was very knowledgeable of modern trends, latest vendors etc (One extremely grateful time that she helped out was when she found my décor vendor last minute and within a day I had a meeting set up with her in Jamaica. There was an issue with the previous vendor I had planned to meet and it was such a last minute save!). As far as the wedding itself goes, L3 was hired for more of a day of planner as I wanted to do a lot of the planning on my own but she helped me with so much more and is great negotiating with vendors as well! Her main function for me was to assist in the organization of wedding events L3 was quickly there to step in for any small issues that happened with the hotel itself. She helped to keep our wedding cohesive and helped to manage the flow of events throughout each function. From meeting with our chefs, to the reservations desk, L3 scheduled a lot of our meetings and assisted with other things such as helping to distribute welcome bags to guests. She was very helpful also with making sure my guests had transfers to and from the hotel and that the timings were confirmed for smooth arrivals of our guests. I had no issues with L3 Event services and definitely recommend them for your events. I used them mainly for the 6 weeks leading up to my wedding and had them coordinate everything on the day of the events. The team was very polite and professional and I received many compliments from family members on how good and effective they were. They have developed good relationships with several of the vendors and it was very helpful that she was able to collaborate with them when needed. They are organized, friendly, and easy to communicate with. I would use them again in the future and have already recommended them to my friends! Choosing Eram from L3 Event Services as our wedding coordinator was one of the best decisions we made for our wedding. During the 10 month course of wedding planning, we communicated frequently over email and phone (no matter where in the world we were! ), and Eram was highly responsive, patient and supportive of our wishes. From pre-wedding organized task lists to day-of coordination, Eram had every detail of our wedding covered. She was always considering things that had never even crossed our minds. The weekend of our 3-day wedding, Eram ensured that each event went as smoothly as possible -- she was the main reason we were able to enjoy time with our families who had traveled from near and far to be with us! We would highly recommend Eram to any couple seeking out a wedding coordinator -- she will go above and beyond to make your special day one you will always remember! I liked working with L3 Event Services. They stayed calm and professional at all times. They asked questions to help me think through how the events would flow and you kept track of the details. They also gave suggestions of vendors which was very helpful. Most important, They were also able to make adjustments to the timeline on the day of when things were running late and interface with all my vendors to confirm timing in the weeks prior. They set expectations with the Renaissance on our event when they found out another event was happening the same evening. She made sure to communicate to the director there that we booked our event first so we should get priority over the other event. My overall experience of as the day of coordinator was good and met my expectations.The ceremony went smoothly as well as the reception. There was quite a bit of coordinating to do and L3 Event Services handled all the transitions very well. I thought it was nice of them to give chocolates on behalf of L3 on my wedding day. It was such a nice touch! Yes, I would recommend you to another bride. My husband and I got married March of 2016. 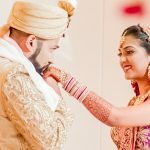 I can't tell you how little I knew about planning an Indian wedding and all the details involved!! While the founder did a lot of the heavy lifting behind the scenes, the lead was there for every site visit at every venue in the early phases and late. When it got closer to the big day, they 3-way called me 1-2x a week to follow up on my progress with certain tasks. Both thought of a million things that I would not have thought to think about in advance. I literally couldn't have done it without these girls! I can speak to both of their talent, attention to detail, and compassion in trying to execute everything according to your hopes and dreams! Booking with L3 was one of the best decisions I made, and I've recommended them to several friends and family since! If you ask me, you can't go wrong with them! They will definitely take care of you and your special day! L3 Event services handled everything really well. Up to the point where they left a card on our bed! Because of L3 Event Services, I was relaxed throughout it all and was actually able to enjoy every moment. I also performed my best being so relaxed. Thank you for everything you did. I enjoyed working with them and found them to be very comforting and sweet. Loved their attitude and energy. We enjoyed working with L3 Event Services during the planning and the weekend of our wedding! It was overall a great experience! We would definitely recommend L3 Event Services. We are excited that they will be a part of my sisters wedding in November! The app they use is a great tool for event planning. Your timeline that you emailed prior to the weekend was great and informative! We are glad we used you and your services for our wedding planning. We ended up with great vendors! Thank you! L3 Event Services was very organized and responsive to all of our needs. They understand the industry well and can navigate issues quickly. Our overall experience was great and everything went down without a flaw (and if there were any hiccups, we didn't see them)! Everything went as planned and came together well. The calls were organized and they were super responsive to all of our needs. I didn't need to worry about anything and felt L3 handled everything well. I would absolutely recommend them to another bride and groom.